Tonights Presentation is by Carl Luetzelschwab K9LA. Carl will review the status of Cycle 24 and look at predictions for Cycle 25. He will then discuss what to expect on 160m and the HF bands as we go through solar minimum. He will finish by talking about unusual openings on the higher HF bands. Join fellow MARC Members for Breakfast at The Farmhouse Restaurant at 8:00 AM the Third Saturday of every Month. The Farmhouse Restaurant is located just north of Cleveland Rd on 933N in South Bend. The MARC Social Meeting will be held at the WNIT Studios Community Room beginning at 7:00 PM. The Meeting tonight will be about the 2019 ARRL Field Day and MARC’s participation in it. It will be a planning session; we will need people to volunteer to help setup and tear down as well as operators. Don’t miss it; get involved and help your club have a good Field Day. As usual refreshments will be available. MARC will be participating in the ARRL Field Day Weekend at Henry Frank Park on Day Rd. The MARC Social Meeting will be held at the WNIT Studios Community Room beginning at 7:00 PM. Tonights presentation will be by Bruno Trimboli NJ9S; the subject is Electromagnetic Pulse. Should be interesting. Refreshments will be available. MARC will hold its annual Picnic on Friday August 23rd between 6 and 9 pm at the Henry Frank Park Pavilion at 731 Day Rd in Mishawaka. The Park Entrance is on Day Road just west of and next to Walt Disney School. We have the covered pavilion with restrooms, a children’s playground is right next to the pavilion. Plan to arrive around 6PM, we will eat about 6:30PM. This is a MARC subsidized event for MARC Members and their families. MARC will provide the Meats, Buns, Soda and Condiments. Attendees are requested to bring a dish to share. You may bring Fried Chicken, Pizza, Potato Salad, Fresh Veggie’s, Fresh Fruit, Baked Beans, Mac & Cheese, Dessert’s of all kinds. There will probably be a Foxhunt and the Adventure Radio group may operate. Volunteers will be needed to pull off this event. CHECK BACK HERE AS WE GET CLOSER TO THE DATE FOR UPDATES AND NEW INFORMATION. The MARC Social Meeting will be held at the WNIT Studios Community Room beginning at 7:00 PM. The MARC Social Meeting will be held at the WNIT Studios Community Room beginning at 7:00 PM. Tonight’s Presentation will be via Skype with James Merry Jr. KC9RPX the Indiana ARRL Section Manager. There is a slight possibility the he might come in person. As usual, refreshments will be available along with the 50/50 drawing. The MARC Social Meeting will not be held on this Thursday because of Thanksgiving Day. Date of the Social Meeting will be posted at a later date. ﻿Annual MARC Christmas Party Will be at the Elk’s Club once again. Check back for details ! The MARC Social Meeting will be held at the WNIT Studios Community Room beginning at 7:00 PM at 300 W. Jefferson South Bend. Tonight’s Presentation will be by David Rice AD8WR on his DIY Rig Expert Antenna Analyzer. Don’t miss this as you may want to build one. The Presentation tonight will be by David Rice AD8WR on End Fed half wave dipoles and G5RV dipole antennas. Should be very interesting. As usual the meeting will start at 7PM at the WNIT Studios Community Room at 300 W. Jefferson Blvd in South Bend. Refreshments will be available. Tonight’s Social Meeting Canceled due to the extremely low Temperatures outside. MARC will have a QRP Outing at Pinhook Park Parking Lot on Sunday December 9th between 3:00 PM and 6:00PM local time. We will operate no matter what the weather. This event is held in conjunction with the Colorado QRP Club. The actual contest runs between 4:00PM and 6:00PM local time. The actual contest is QRP CW only, on 20 meters. Only one person can operate in the contest at a time; so we will take 15 minute turns operating CW on 20 meters. You are welcome to operate your equipment on other bands using other modes when you are not in your contesting time slot. 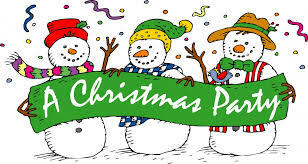 The Christmas Party will be on December 8, 2018 (Saturday) from 6PM to 9PM at the Elks Lodge. Their address is 3535 McKinley Ave. South Bend, Indiana. We will be having the Lodge Buffet which will include Beef, Chicken and Fish with Mashed Potatoes and Gravy plus a Veggie and Dessert. Included will be Coffee, Tea and Water. Soft Drinks and Adult Beverages will be available from a cash bar. The deadline for payment was November 30th. Payment cannot be accepted at the event. MARC Board of Directors Meeting in the Silo Room of the SJCPL Francis Branch. All are welcome to attend. MARC Social Meeting will be Held at WNIT Studios starting at 7:00 PM. There will be no presentation , but instead we will have a swap meet. 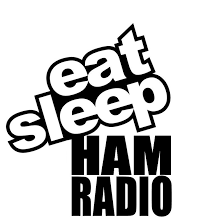 So bring your Ham Radio items you want to sell or trade and bring Money to spend. Never know what you may find! Popcorn and other snacks will be served. This is the last social meeting of the year; If you haven't yet paid for the Christmas Dinner, do it at this meeting! Also Club Dues for 2019 may also be paid at this meeting. MARC Board Meeting, SJCPL Francis Branch Library. MARC Social Meeting will be Held at WNIT Studios starting at 7:00 PM. Snacks will be served, participate in the 50/50 cash drawing, meet old friends and make new ones. This meeting will involve the election of new board members, afterward we will set up a Club Radio and do some Antenna Testing. We will also show a couple of videos on Norway Adventure Radio. MARC Social Meeting will be Held at WNIT Studios starting at 7:00 PM. Snacks will be served, participate in the 50/50 cash drawing, meet old friends and make new ones. The presentation this month will be "Drones: An Amateur Radio Perspective" by Barry Keating.